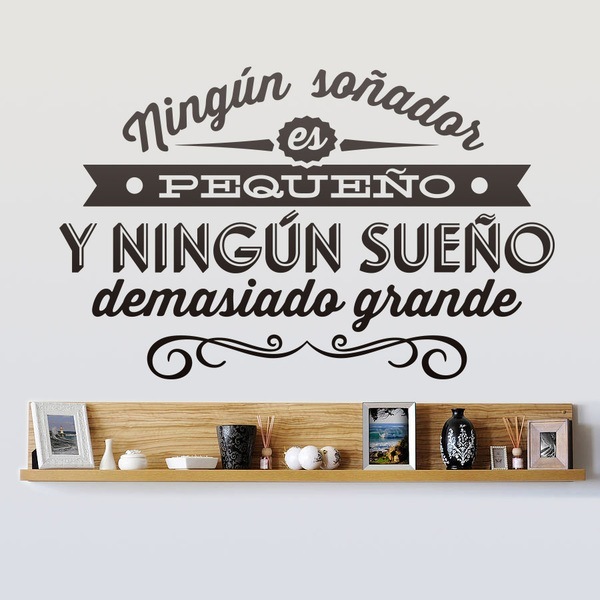 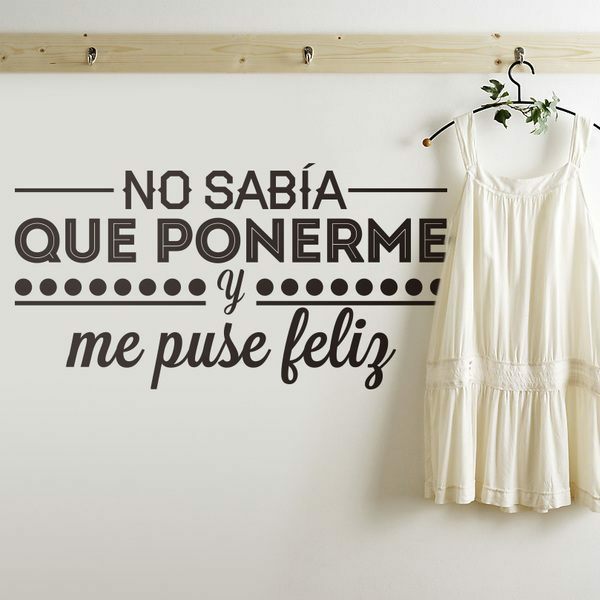 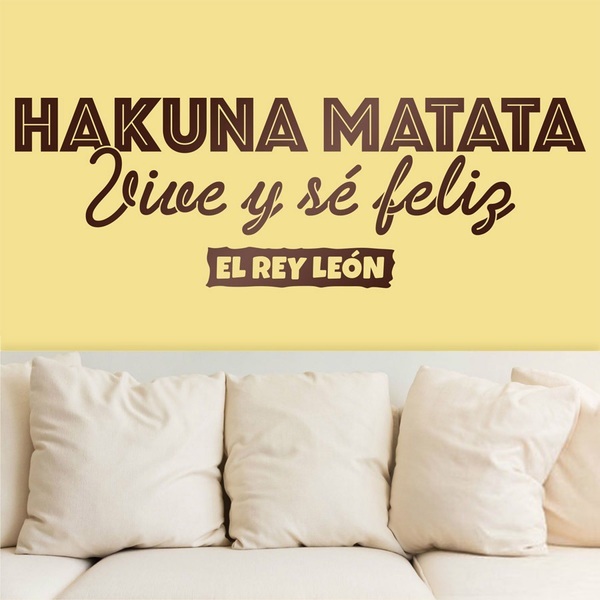 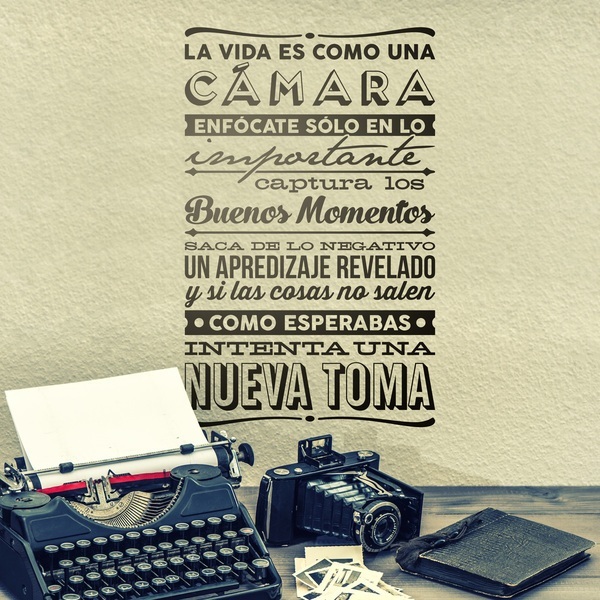 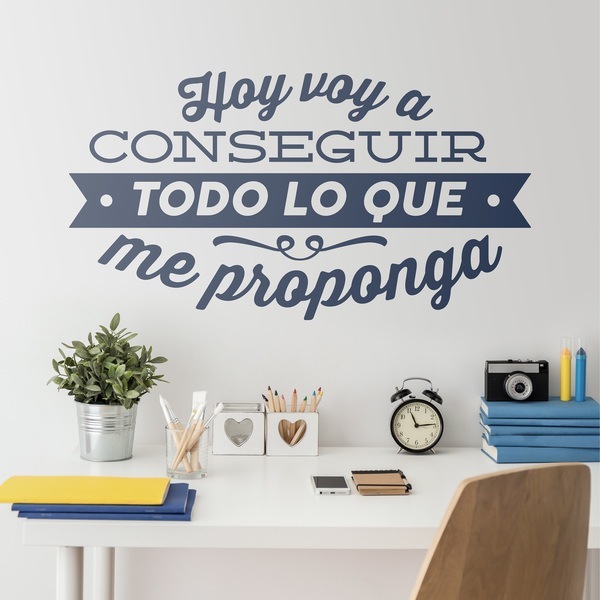 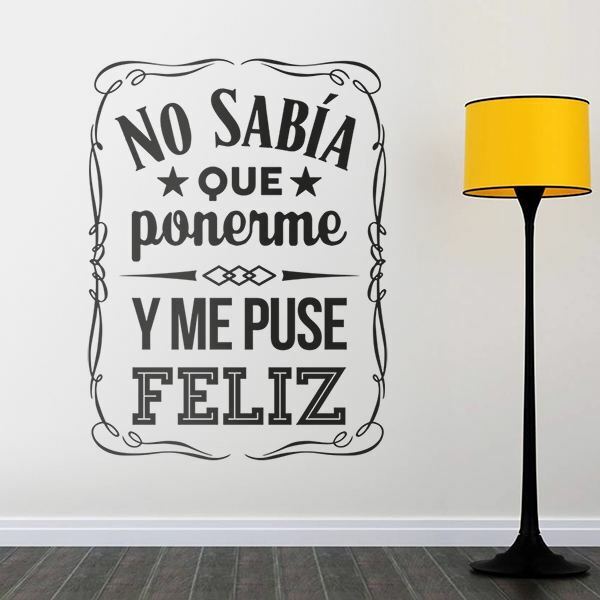 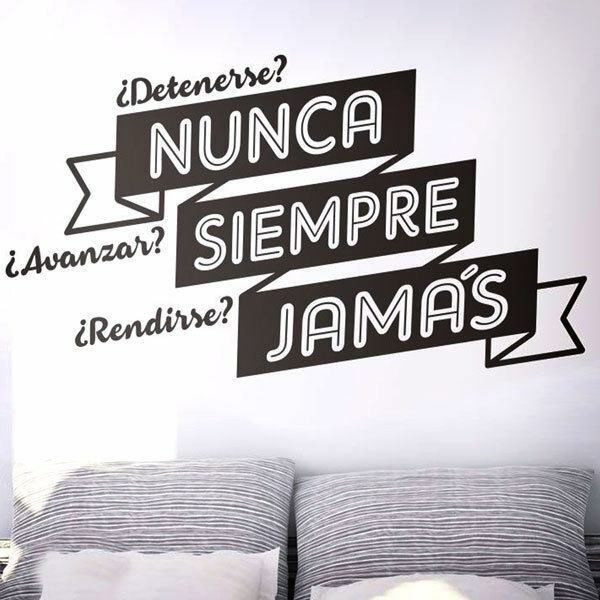 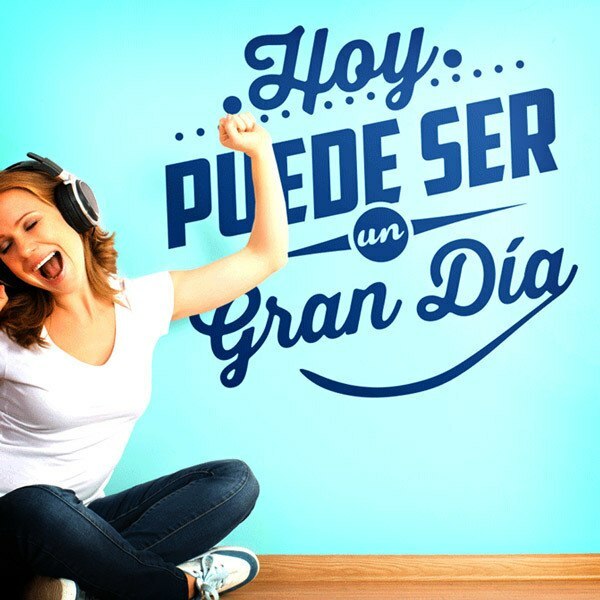 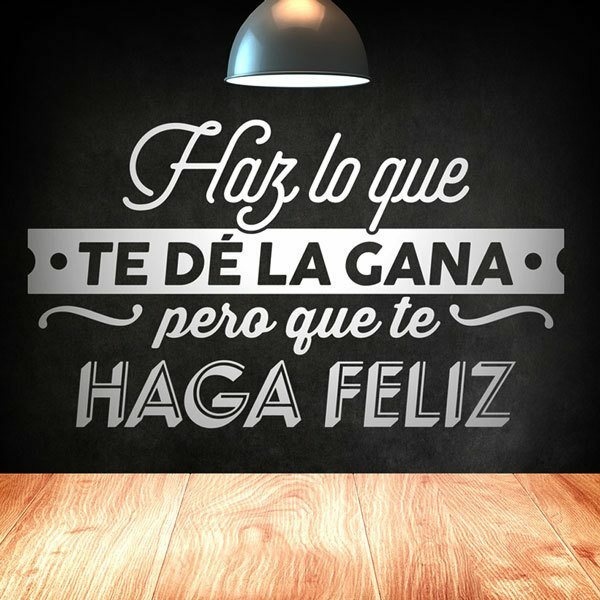 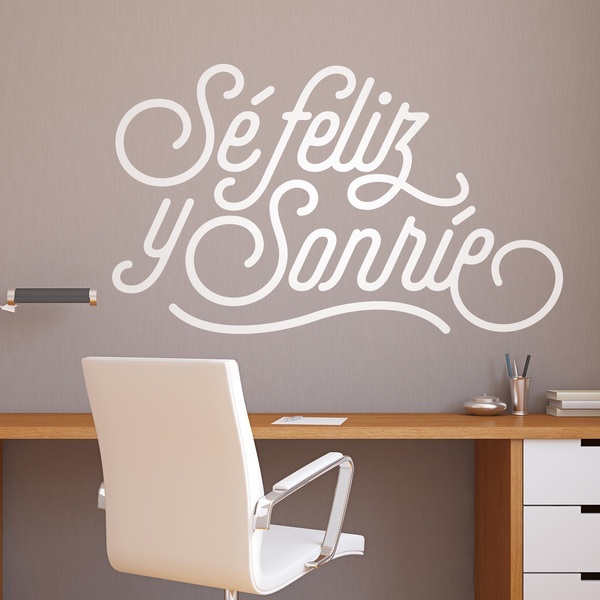 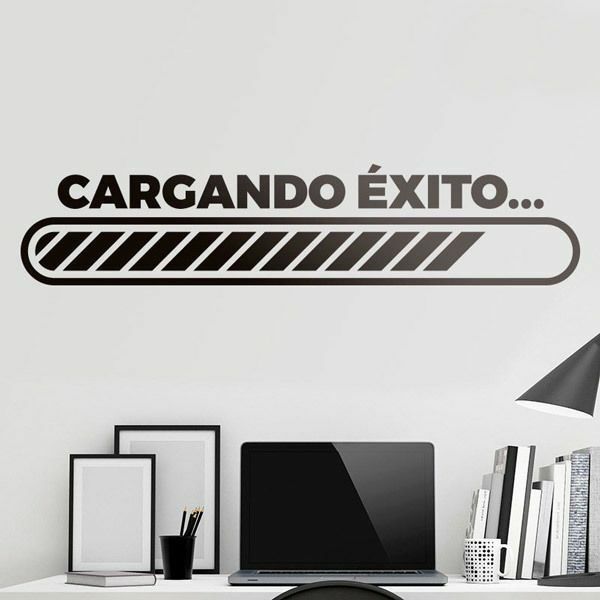 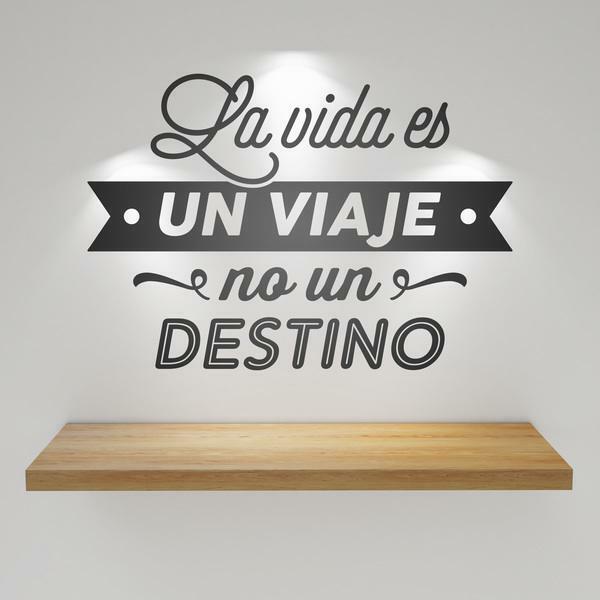 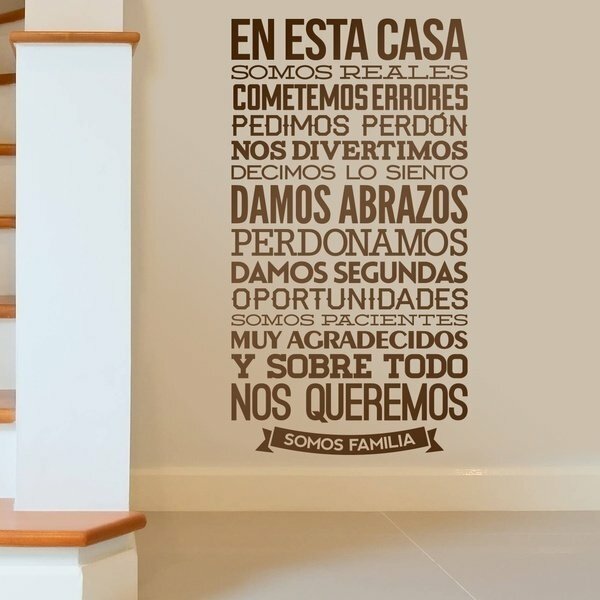 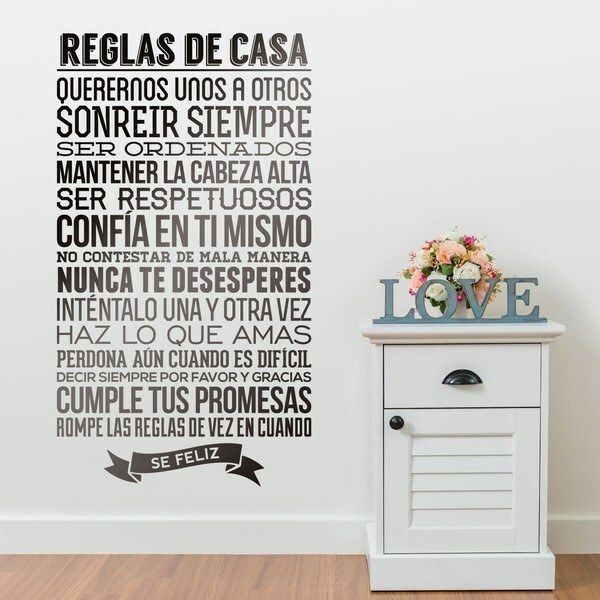 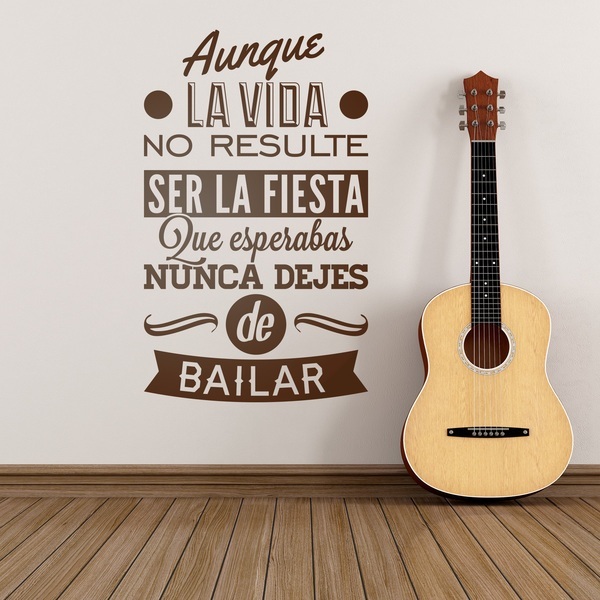 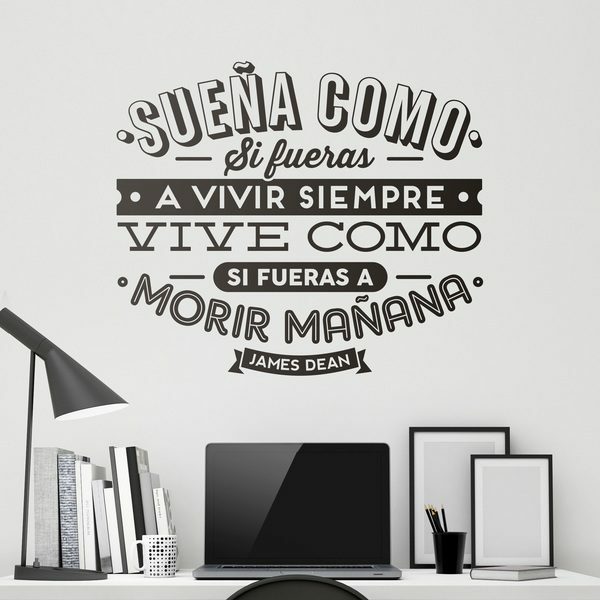 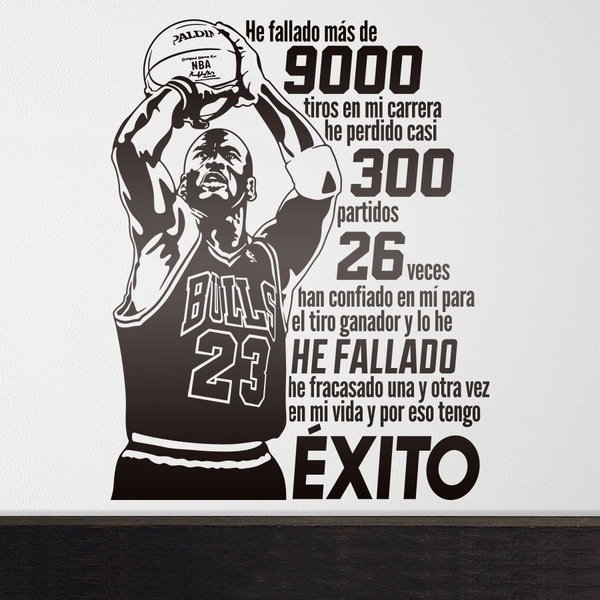 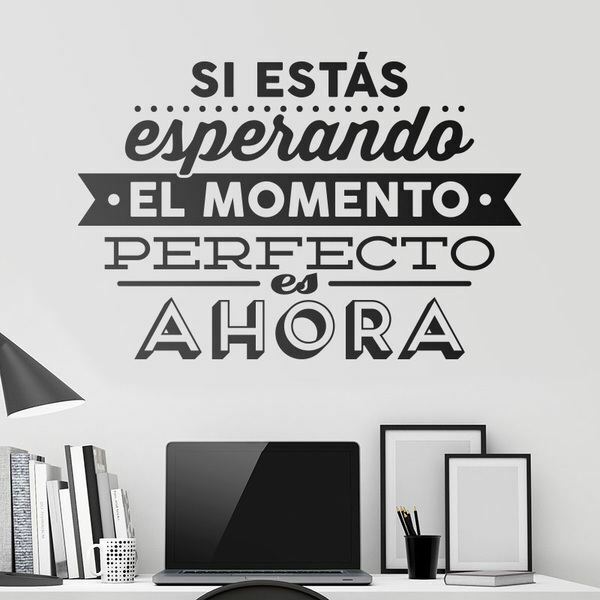 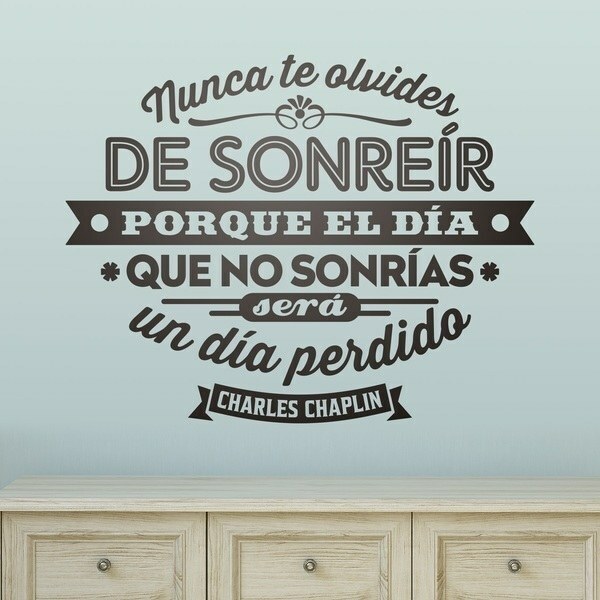 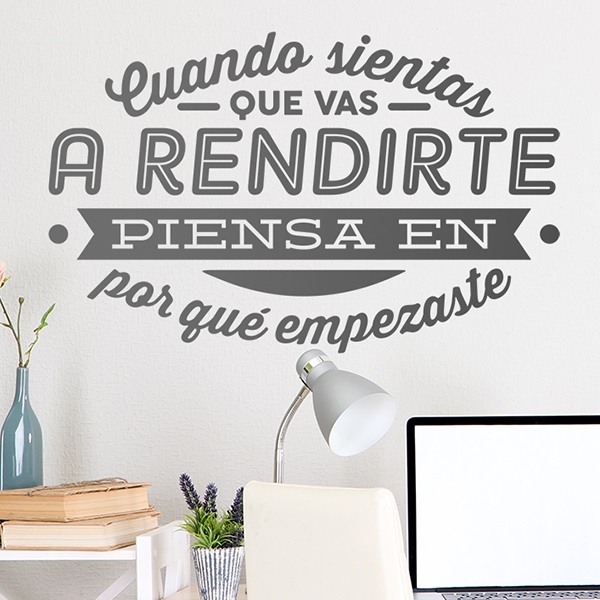 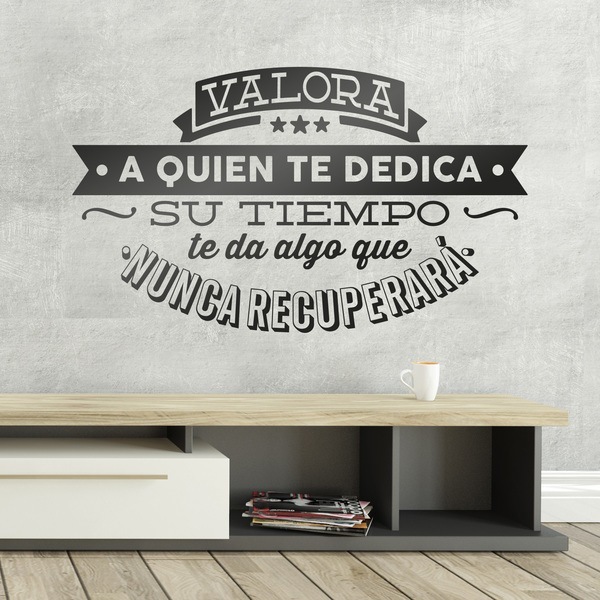 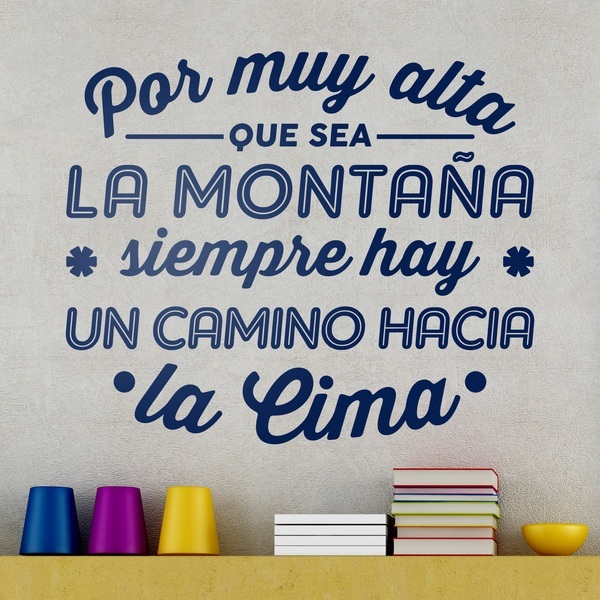 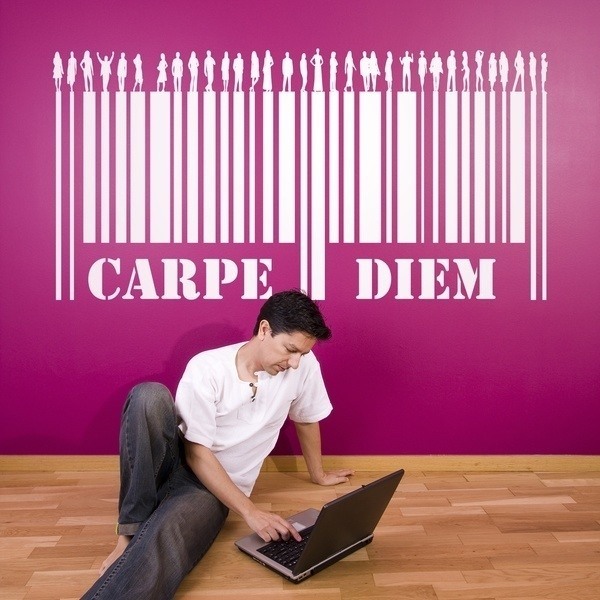 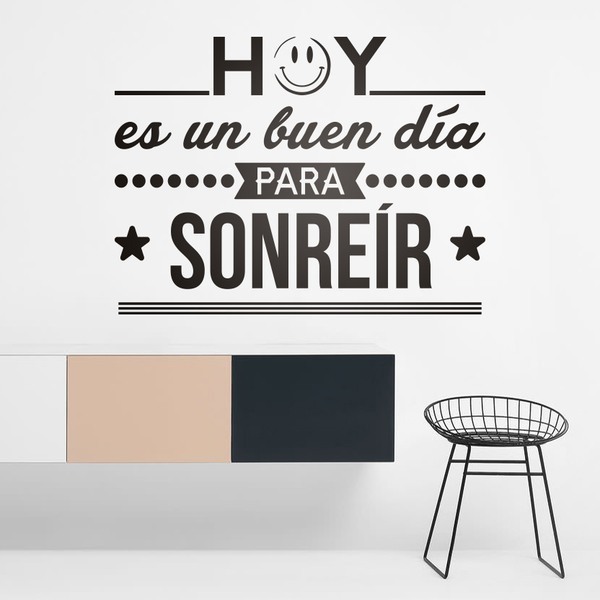 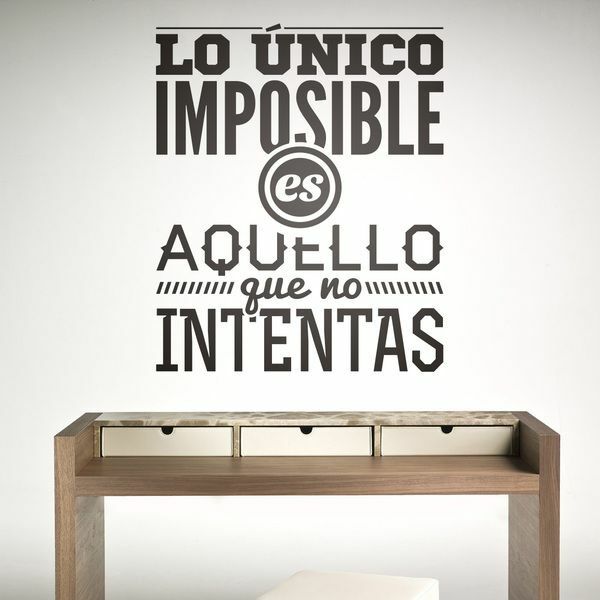 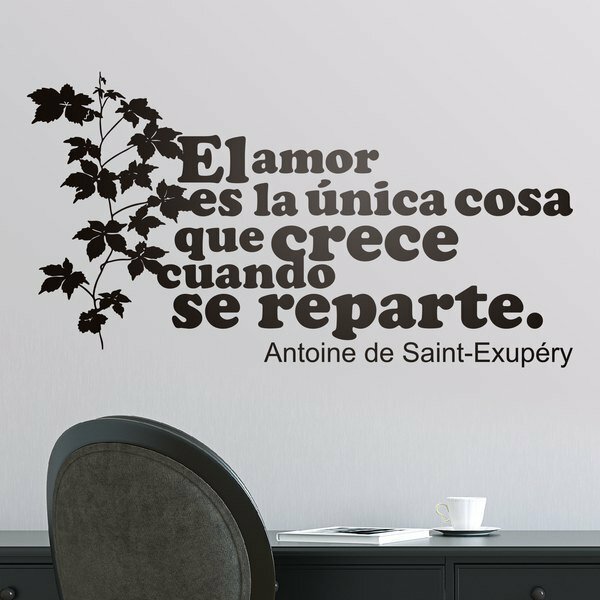 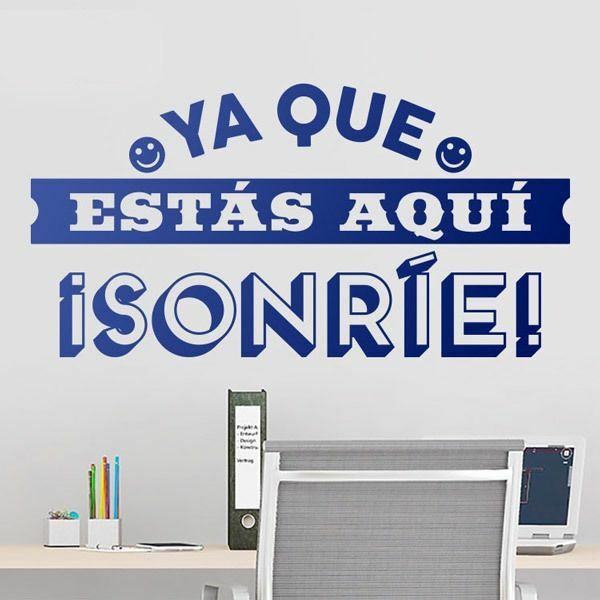 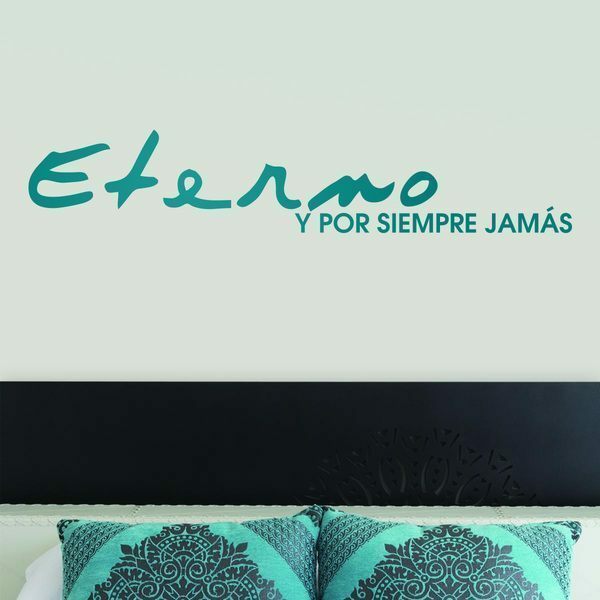 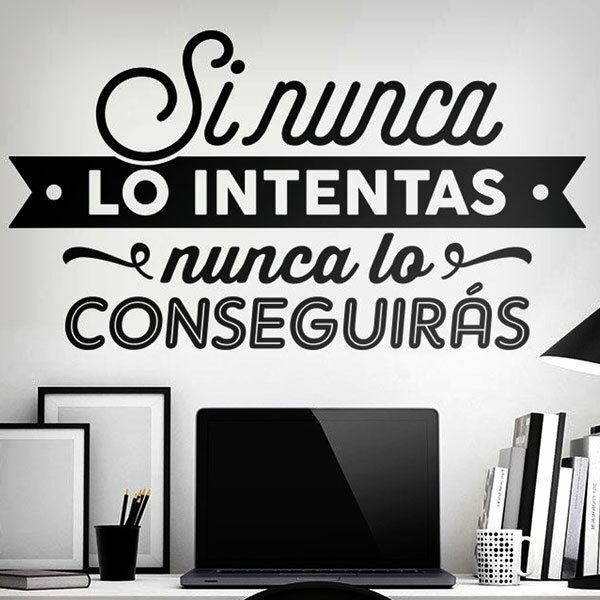 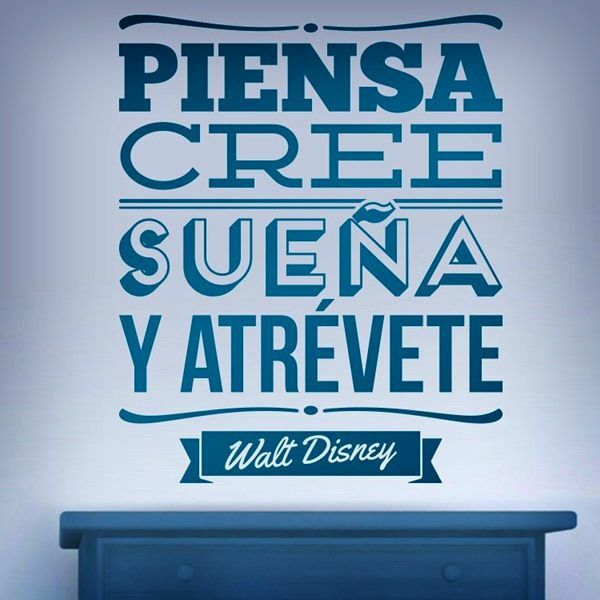 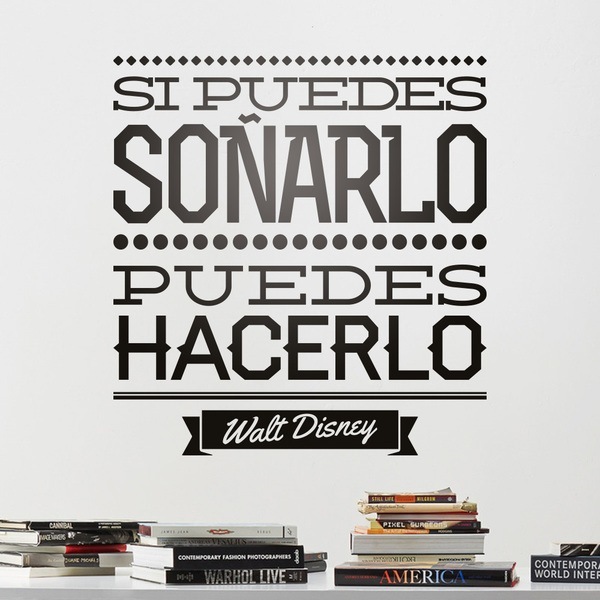 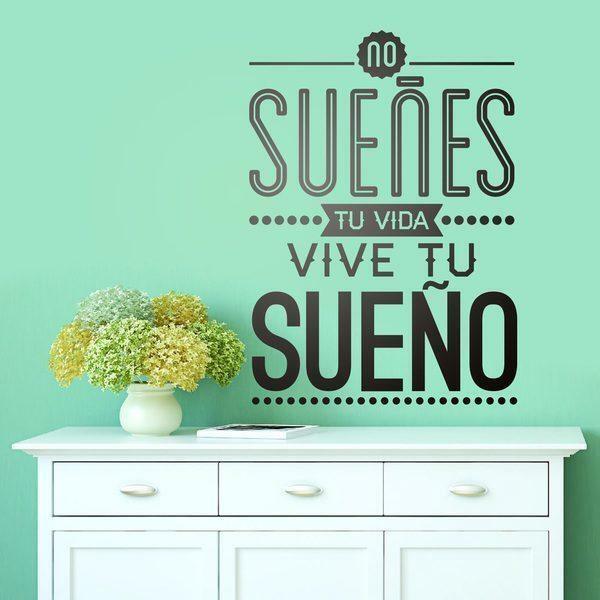 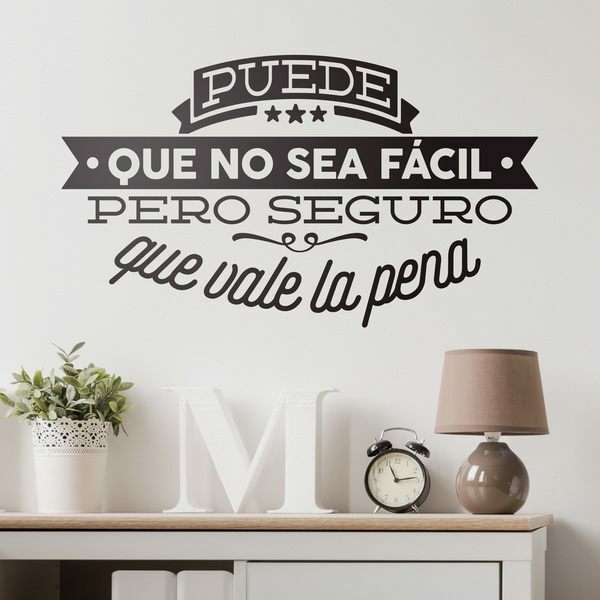 Complete section of wall stickers phrases, famous quotes, motivators and texts in several languages. 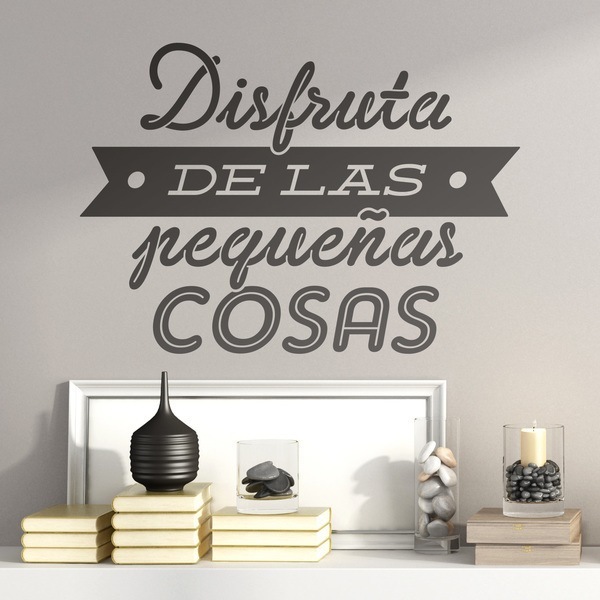 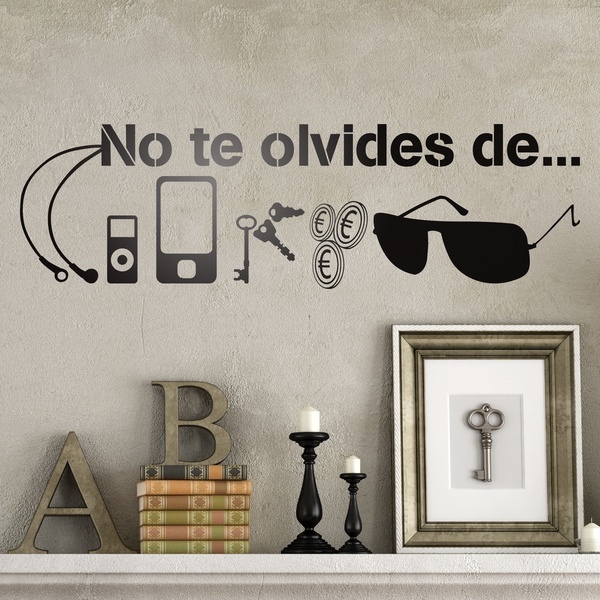 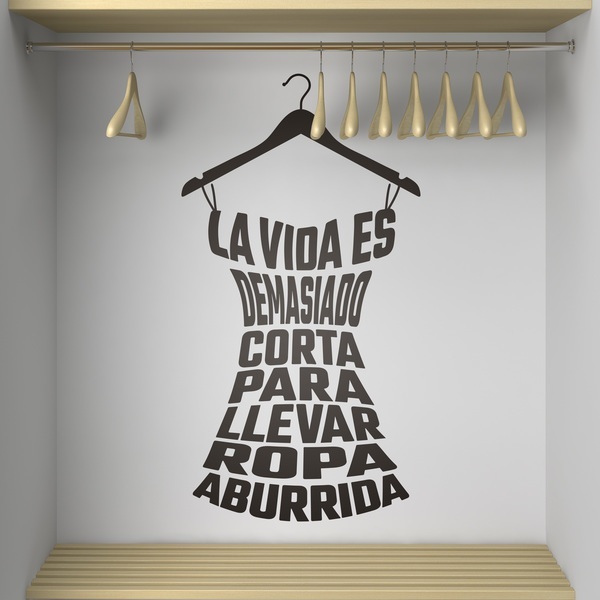 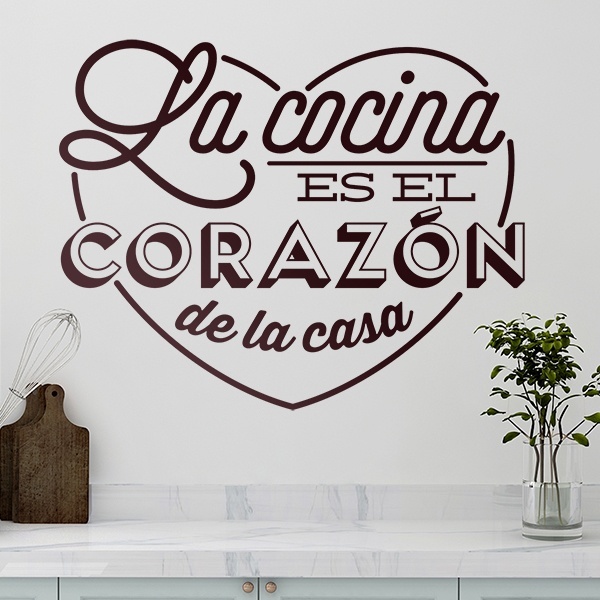 Original typographic designs combining typefaces and ornaments specially thought for the decoration of walls. 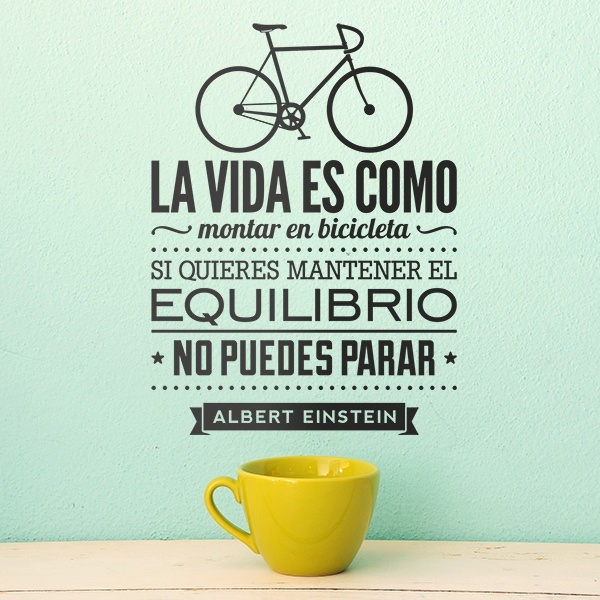 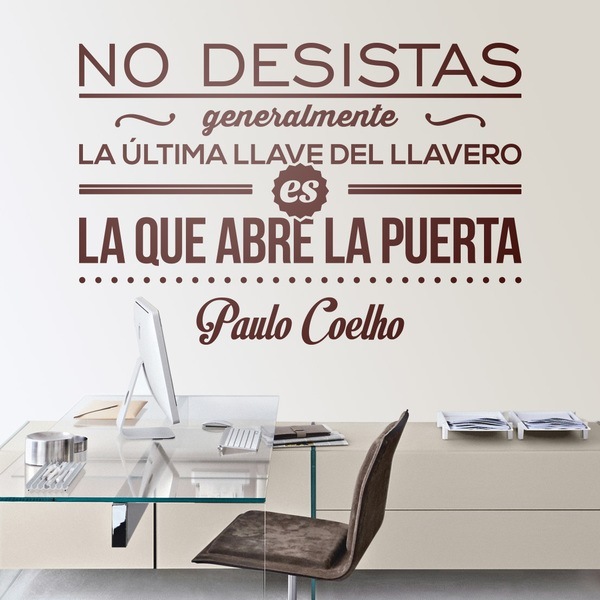 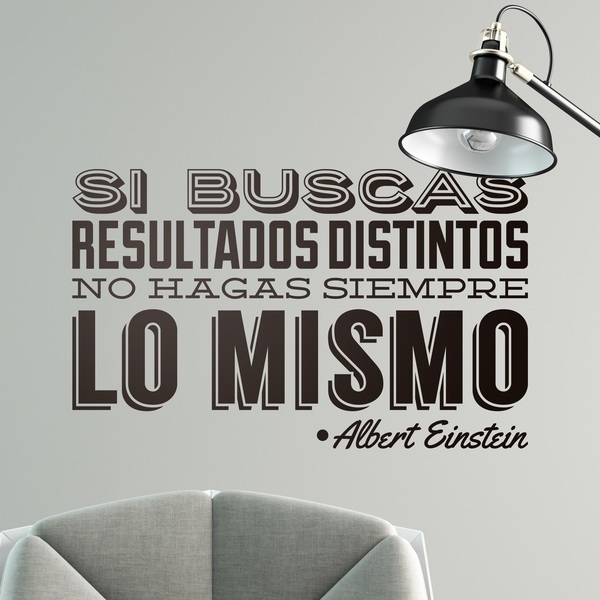 The most significant and evocative famous quotations by Albert Einstein and Paulo Coelho. 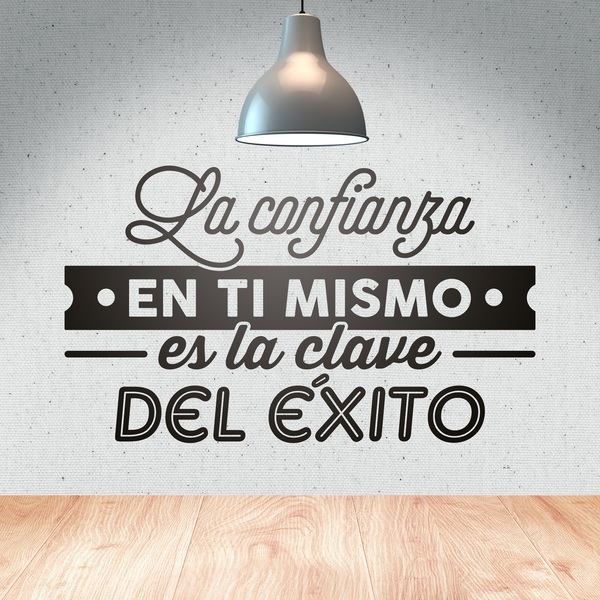 Motivating phrases and life lessons that inspire the confidence you need to succeed. 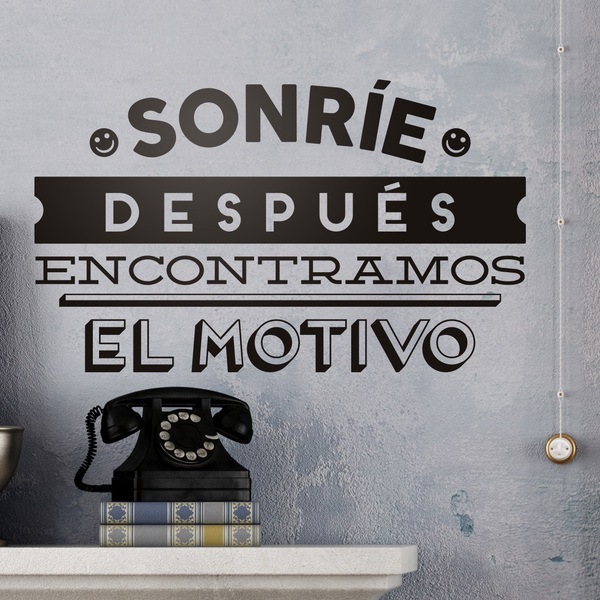 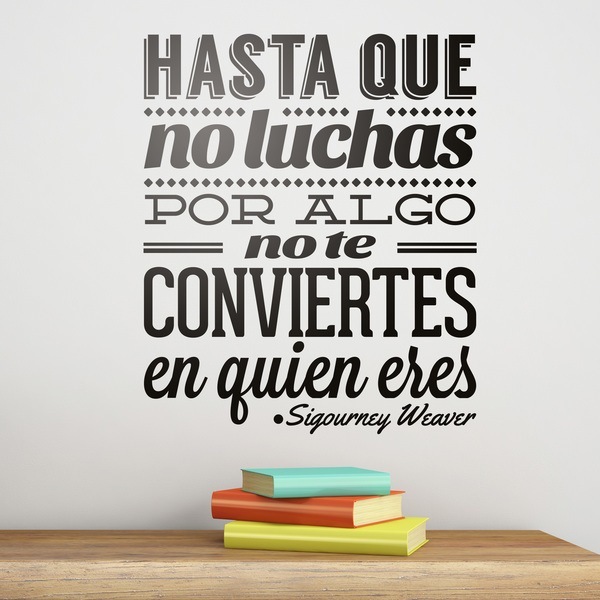 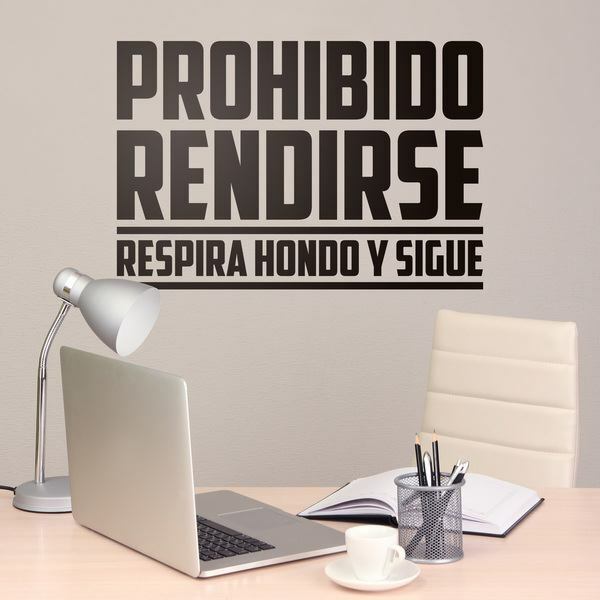 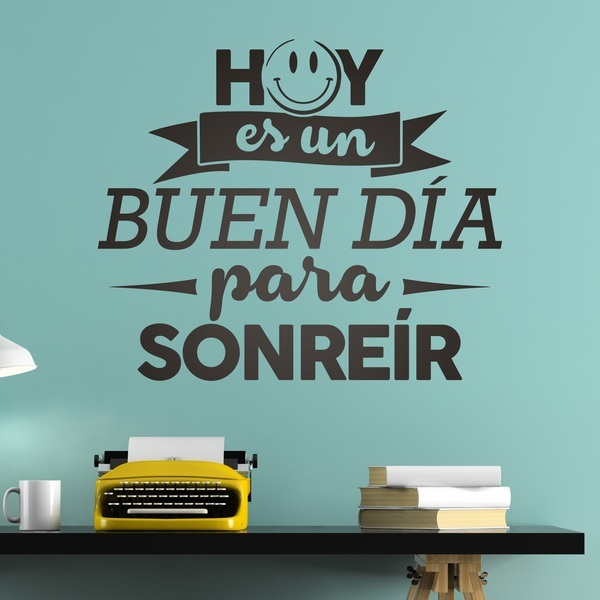 Positive and optimistic messages in Spanish, Catalan, English, German, Italian and French. 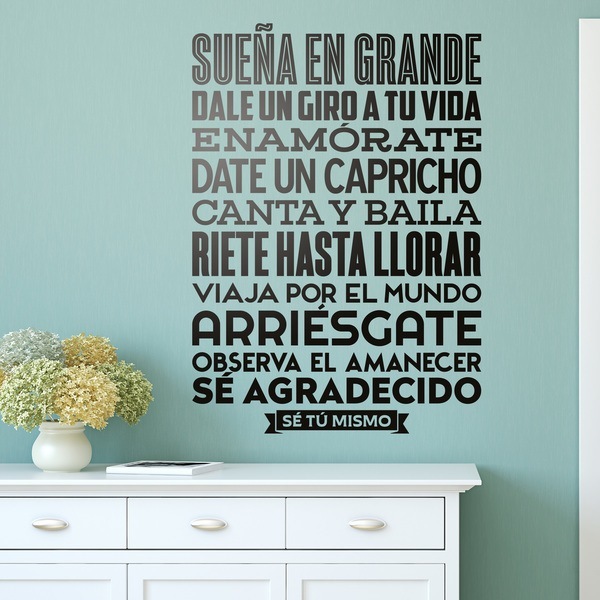 Place them on the wall of your study place, as a headboard, in your living room, hall, hallway or room. 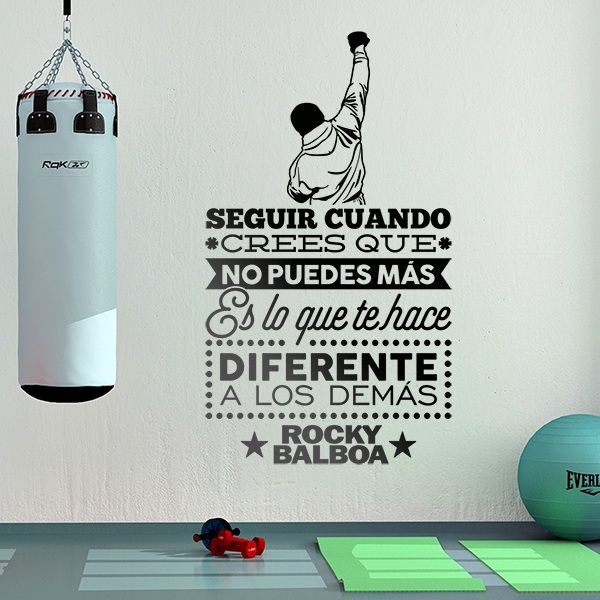 Perfect for spaces dedicated to work such as offices and studios as well as gymnasiums or sports centres.